Let them say it with a slogan! 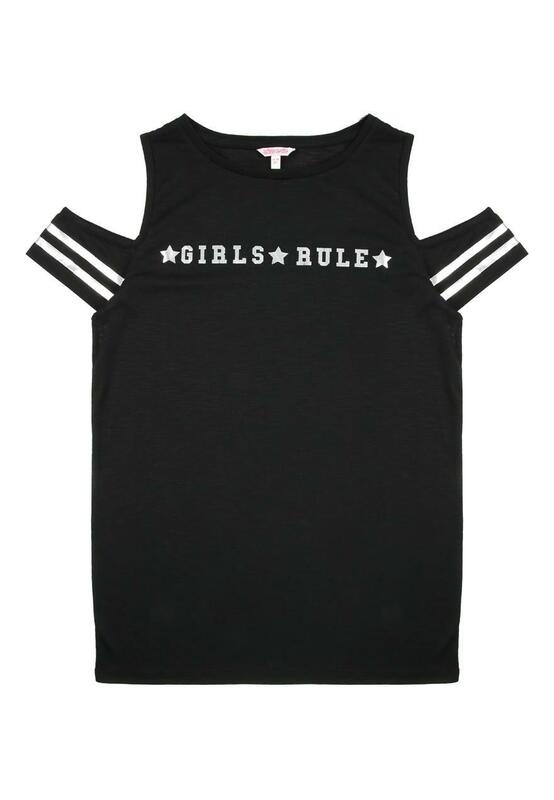 This cool top will make a trendy addition to their wardrobe. 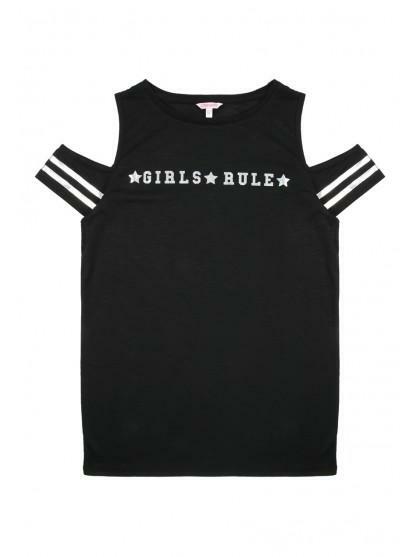 In a black sporty style with a cold shoulder design, rounded neckline and a graphic 'Girls Rule' slogan, it's perfect for casual wear.